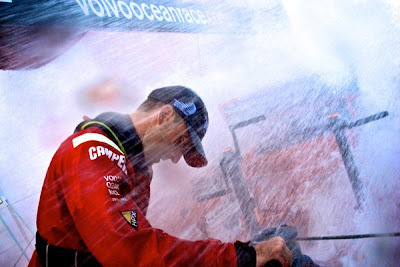 The pressure has been intense for Franck Cammas and his men on board Groupama who have been unable to prevent the fleet compressing as the wind softened ahead. 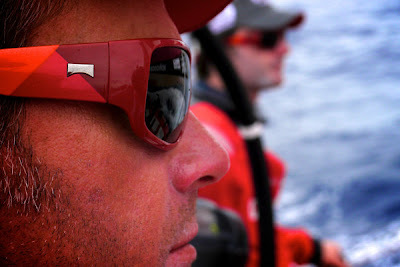 Overnight, Iker Martínez/ESP and Telefónica were able to reel in the French boat to take the lead for a short period, however at 0400 GMT, Cammas was back in front again. 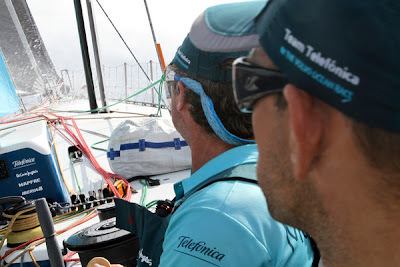 The team pulled out a three-mile lead by sailing two knots faster, only for Telefónica to come back at them again in the next three hours and at 0700 GMT, they cut the French team’s advantage in half. 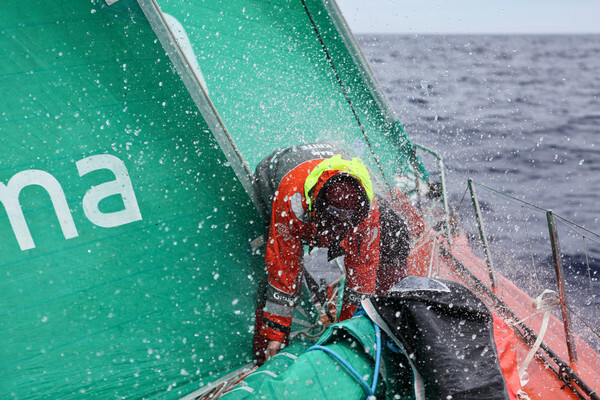 Telefónica has led the race overall since finishing in first place on Leg 1 in Cape Town, South Africa, but, as the event has progressed around the world, Groupama has become an increasingly serious threat to the Spanish lead. Separated by just seven points, the 30 points on offer for a first place leg finish and 25 for second on this 3,590 nm leg to Lisbon, Portugal, could be very significant, with two offshore legs and three in-port races still to complete. 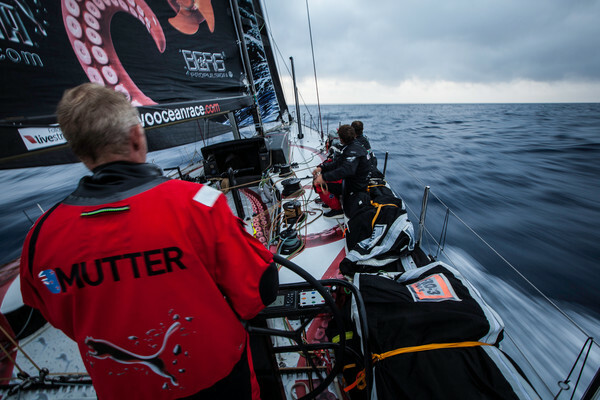 Meanwhile, Abu Dhabi Ocean Racing (Ian Walker/GBR) is keeping the third placed crew of PUMA Ocean Racing powered by BERG (Ken Read/USA) on their toes. 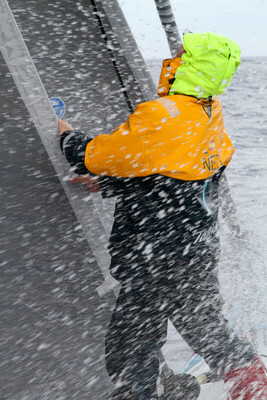 At 0700 GMT they were less than a mile astern and sailing significantly faster. The match race being played out 22.4 nm from Groupama is proving to be equally intense as PUMA push hard for a third consecutive leg win and hold off Ian Walker’s men onboard Azzam who are hungry for a first offshore podium finish. According to Media Crew Member, Hamish Hooper, the pair are spending long hours in the nav station, patiently scouring weather maps, currents and just about anything that could give the team a chance of regaining the lost miles. Although they have slipped to 44.8 nm behind Groupama, Team Sanya (Mike Sanderson/NZL) are still very much in contention and enjoying the downwind sailing, which is propelling the fleet quickly towards the Lisbon finish.